The metamorphosis of a butterfly tells the same tale of what it is like waking up from a dream. Every time a butterfly unfolds its wings, the universe yields to the artists who spoke the hearts of the people and whose works will endure the test of time. 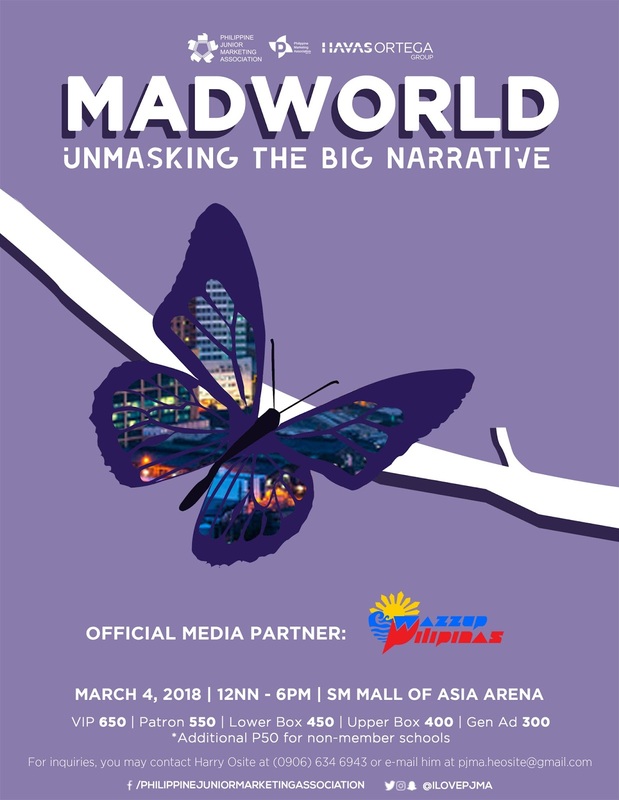 MADWORLD: Unmasking the Big Narrative, happening on 4th of March, from 12:00 PM - 6:00 PM, at the SM Mall of Asia Arena, Pasay City! Learn from the most prominent business personalities as they unfold the truths behind the success of the stories they sell.